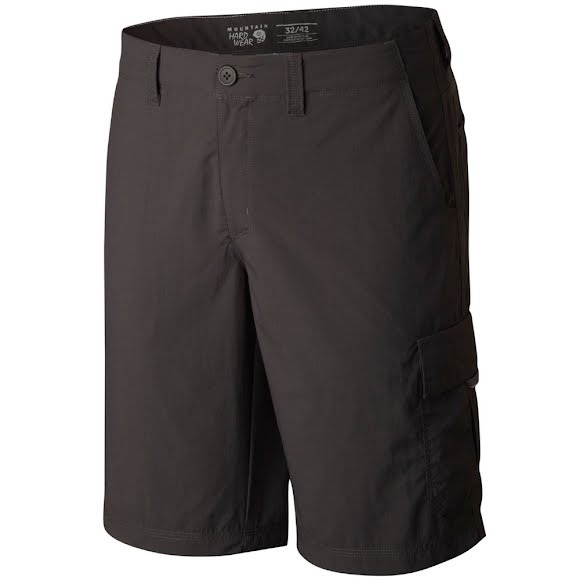 Adaptable, high-performance cargo short designed by Mountain Hardwear for hiking and traveling. The Castil Cargo Short boasts plenty of technical performance: It's made from nylon ripstop fabric that's lightweight and tough, with a DWR finish that repels moisture. Whether you're on an extended summer backcountry trip or touring one of the world's great cities, it won't disappoint. Adaptable, high-performance cargo short designed by Mountain Hardwear for hiking and traveling. The Castil Cargo Short boasts plenty of technical performance: It&apos;s made from nylon ripstop fabric that&apos;s lightweight and tough, with a DWR finish that repels moisture. Whether you&apos;re on an extended summer backcountry trip or touring one of the world&apos;s great cities, it won&apos;t disappoint.